Surprise, surprise; it's another "recipe" for toast. I know - I have a problem. There are just so many damn combos to create and quite honestly, a fancy toast is about all I can handle recipe wise these days given my schedule. Unless of course I want to cook elaborate meals on the weekends. Which if I'm being totally honest with you, pretty much never happens. Because as much as I like to talk a big game with Chris about making pasta from scratch on a Sunday...or trying my hand at a complex Mexican mole on a Saturday morning, I never actually do it. Throwing together a homemade red sauce for pasta or slow cooking pork for carnitas tacos is generally about as crazy as I get. Because weekends are for relaxation...and libations. So yeah, another toast recipe it is. But you guys, this one is freaking righteous. 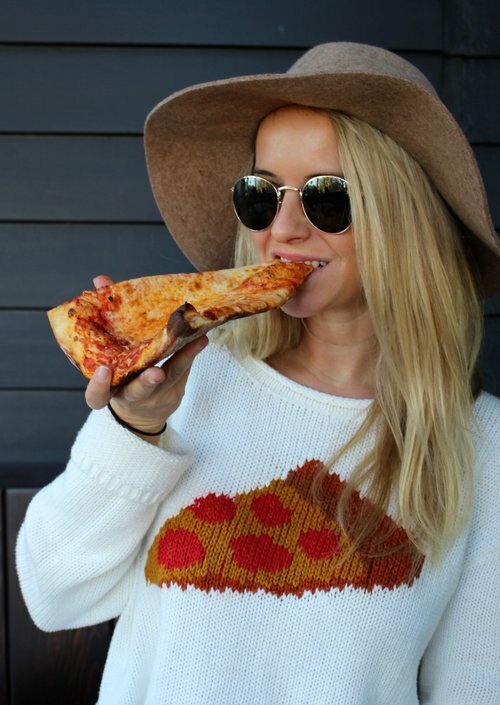 Especially if you like things that taste like spring. This toast is spring-y AF. 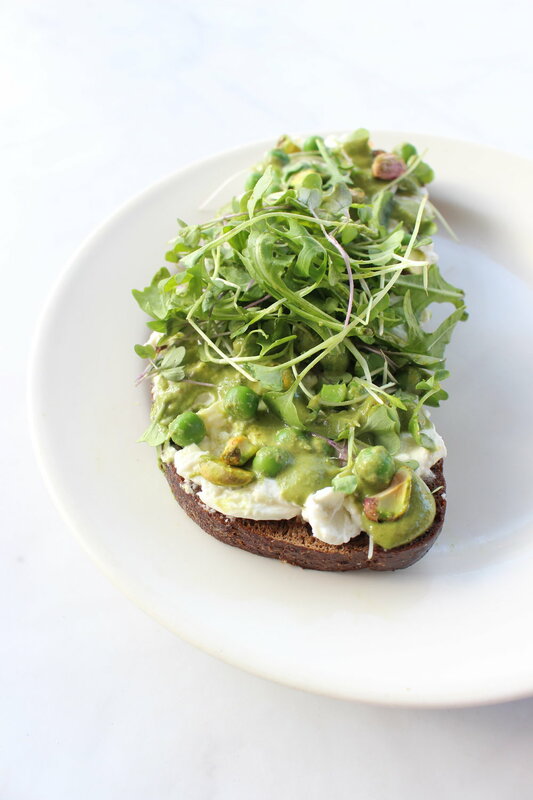 With a base of pumpernickel, topped off with a mix of an oil marinated goats and sheeps feta and a sprinkling of English peas, pistachios, arugula, and micro greens over that, it's so green it's like almost healthy. Oh, and I must not forget the mint, arugula and pistachio pesto drizzled in the mix too. I told you - it's about as spring as toast gets. Straight up, I was on another level with each and every bite. Toast bread and with a heavy spoon or knife, spread feta over top each slice. Top with peas, pistachios, arugula, micro greens, and one tablespoon of pesto. Enjoy! In a food processor, combine 1 cup arugula, 1/2 cup fresh mint, 1/3 cup freshly grated parmesan, 1/4 cup olive oil, 2 tablespoons English peas, 1/4 cup shelled pistachios, salt, pepper, crushed red pepper, and a clove of garlic. Pulse until smooth and add water to thin to your desired consistency.